Jo Seok-Moo (Cha Tae-Hyun) graduated from a prestigious university, but he pursued his dream of becoming a musician rather than finding a traditional job. Jo Seok-Moo did not become a musician and because of his advanced age, he could not land a decent job. He then began working at a security service company. 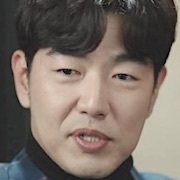 There, he met Kang Whee-Roo (Bae Doo-Na) for the first time as his customer. They have have been married for 3 years now, but Jo Seok-Moo asks for a divorce. They do not have very much in common. Jo Seok-Moo has a stubborn personality and enjoys spending time alone, while Kang Whee-Roo is easy-going and has a positive personality. 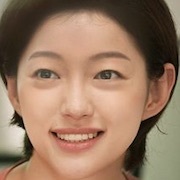 In front of them, the married couple of Jin Yoo-Young (Lee El) and Lee Jang-Hyun (Son Seok-Koo) appear. Jin Yoo-Young is Jo Seok-Moo’s first love. Takes over KBS2's Monday & Tuesday 22:00 time slot previously occupied by "Lovely Horribly" and will be followed by "Just Dance" on December 3, 2018. Remake of 2013 Fuji TV drama series "Matrimonial Chaos." haru Jan 06 2019 4:45 am The original Japanese version of this is much better. uyen Dec 22 2018 2:54 am I am a fan of Cha Tae Hyun so I was really sad when reading the comment. He is a good actor, if you watch all his movies, you will see how he incarnates into a very cool character. He is an actor not only appearing on a variety of shows. Although the film has no passion, it has a profound meaning. The character in the movie has a very different personality from him in real life, so acting like that is very good. When I saw his movie I saw that it was not Cha Tae Hyun. Hope he will have more products. Laura Dec 20 2018 10:15 pm The drama deserved its low ratings. Worst adaptation I've ever watched. go watch the original and don't waste your time with this. Strums Dec 17 2018 10:12 am I love that most of KBS shows convey deep meaning. Well wrapped ending, learn a lot from this drama. Kris Dec 08 2018 4:55 pm I’m having a really hard time getting through episode one with the coffee scene. Look I know there have been similar cases. Maybe that is why it bugs me. Someone assaults you like that you call the police and go to the ER for treatment. Love her in someday and cloud atlas. Was he in the gods movie? Not getting chemistry but both are fine actors. Was this coffee incident a one time thing or do more violent yet never get justice incidents happen? Do security guards get flashing lights in their vehicles? Seen a few passing scenes on cable and want to know if it’s worth it to start and the beginning and get through it all? Nuha Nov 22 2018 10:18 am I cried so much watching ep23-24, i think i can feel hwiroo's feeling.. and lee el did so great portraying yoo young..
northern girl Nov 21 2018 6:20 pm omg...cha tae hyun is a comic genius!! Absolutely loving this drama. The ensemble of cast is superb and very talented in their own quirky ways. Wish there were more k-dramas like this! jeg Nov 20 2018 8:40 am at first, i enjoyed the story about seokmu and whiruu, their conflict, whiruu with shihoo until the plot becomes little weird, I think They changed each other partner with yooyoung and janghyun That's non sense. angela mendoza Nov 14 2018 7:09 pm disgusting. change of partners. 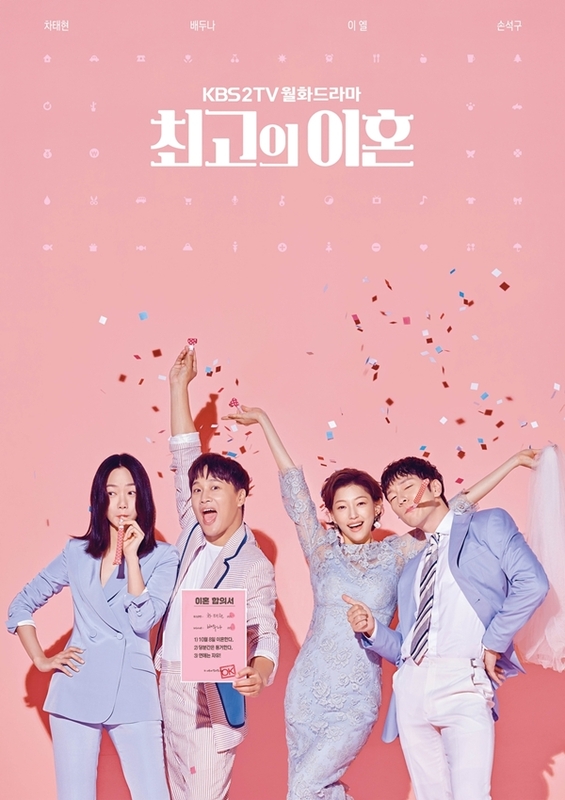 y Nov 10 2018 9:34 pm Wow, this drama only has multifaceted characters with a lot of depth and understanding of how complex real marriage/relationships can be. 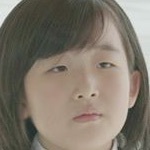 I can relate to Suk Moo a lot, as I can be quite oblivious and self-centered without knowing or meaning to be. I think there are a lot of men and women who can relate to the characters in this drama and it really has a modern take on marriage, religion, and feminism of Korea. I really enjoy it and think it just as good as the original. lee seinet Nov 09 2018 11:54 pm What a good drama! I enjoy it so much TT so much emotional. Also I've learned lots from this drama too. Julia Nov 03 2018 12:04 pm This is the most disappointing drama I've ever watched. The original is miles better because It's real life, it isn't infected by gender politics or feminism. The original drama has more in common with Wife's Credentials than this sh*tty adaptation. If you want a good and intelligent look into marriage, divorce and the sufferings of women just go watch Wife's Credentials or the original japanese drama. This one is just feminist crap posing as an adaptation. Tjones Oct 30 2018 9:47 pm SUCH a good drama! I really cannot understand why more people aren't watching. If you're a fan of the 'slice of life' genre, give this a try! Lenka Oct 30 2018 3:57 pm I really dont know why people are hating on this drama so much, personally I am really enjoying it. Pamela Oct 29 2018 10:48 am The episode where the women start to dance in the rain like in a bacchanalia (after a divorce party) is cringe as hell. This drama is terrible. Anastasia Oct 27 2018 5:50 am Anything with Cha Taehyun is great to me. Unabashedly a super fan here! Jolly Oct 25 2018 9:38 pm @northerngirl "mordern world" where women are always right and perfect and men are always loseres, cheaters or rapists. Nah, thanks. This is a retarded hollywood and american feminist perspective. northerngirl Oct 24 2018 3:27 pm This is one of the finest dramas. I think there is a misunderstanding of the main character...he is kind but has very little self-knowledge. But he is slowly coming to a greater understanding of himself and what relationships are. The grandmother character...she is not a conventional old lady but why should she be? She was married to an abusive man but deeply loves her step-grandson. This drama is about many shades of love and relationships. If you are the kind of person that there is only one way to love and to be married, then this is not for you. But if want to struggle with human relationships in the modern world, and enjoy really good acting, then this is one of the best out there! Andrea Oct 24 2018 8:53 am Hello! can anybody please tell me the title of the song in episode 11-12 (40:46)? Thanks in advance! Yu Oct 24 2018 2:02 am This writer has to be feminist lol. I was a fan of the drama before ep 6. I liked the dialogues and how it touched so many aspects irl. But then it was ruined by the divorce party. I never liked that grandma character, she's old and calm but she doesn't have wisdom every grandmother should have, she's most annoying character ever, and the time she pulled out the cigarette omg i really hate that face. And the writer is really making the males in this drama to be losers lol like what the hell do you want from pointing that out? I maybe need to check the original drama, bc i'm dissapointed with korean version. Sorry papa Cha, i'll support your next projects! Jane Oct 23 2018 9:07 am So far I'm not a fan of this adaptation. They're making the husband a pathetic loser whom everyone laughs at. The wife has almost no flaws other than being a little clumsy. The original drama was more realistic in this sense. The only thing I'm looking forward in this drama is the lesbian romance between the wife's sister and her colleague. jjs Oct 20 2018 12:58 am Ending eps 8 make me cry. 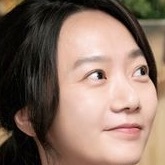 Bae Doona is great actress. Sue Oct 19 2018 12:29 am I watch this drama because of Cha Taehyun.? Kdrama ahjumma Oct 18 2018 12:48 pm I watched this because of cha taehyun. I like these types of dramas about marriage. However there was no connection with his partner. No chemistry at all. I was cringing the whole time I watched her. Hope they chose another actress for the role. Ral Oct 16 2018 8:10 pm On the fourth ep and this drama is giving me all the feelings. Bae Doona is an astounding actress, and her pairing with Cha Tae Hyun is great. On the fourth episode and bawling my eyes out because of how well she can draw in my sympathy from her smallest actions of hurt. Absolutely loving it! Northerngirl Oct 16 2018 4:52 pm A really special drama with great acting and writing! A nice break from run of the mill rom-coms. Patricia Oct 16 2018 3:57 pm This drama is a little unjust with the male characters. The sister's boyfriend is left without any apparent reason and even accused of sexual assault. The husband is left by his ex and wished by her that he should just die because he made innocent jokes about a shark and terrible music lyrics without having any idea that her father was killed by a shark (I'm not kidding). This adaptation of the japanese drama seems a little off to me. Sienna Oct 12 2018 6:03 am Cha Tae-hyun is a great actor and have marvelous comic timing but I'm hating the character he's playing. What a petty person. But I guess that's the point of the drama. I just hope it doesn't end like the original one ended. CKW Oct 10 2018 11:47 pm Haven't seen it yet but plan to. Both the leads are big names, and I especially have huge expectations from Bae Doona a very brilliant actress. Anastasia Oct 10 2018 2:30 am Cha Tae Hyun!!! He is all I need to follow this drama! Ba.bo Oct 09 2018 4:27 pm Cha tae hyun is the best actor in korea. Been watching him since my sassy girl. Alin Oct 09 2018 8:46 am I just watched ep. 1 and 2. It feels so real about marriage life. I got teary because last minute of ep 2. It so hurts TT Looking forward to this drama. Definitely will follow this drama till end. Akshina Oct 01 2018 10:02 am People should not underestimate Cha Tae Hyun. He is a great actor and he has starred in box office hits like My Sassy girl and Scandel makers and also he is one of the richest actors in Korea. doona ssi Sep 30 2018 6:02 am Script and Leading Actresses are great and my style but this time first male ???? Ginger Crunch Sep 30 2018 4:23 am The trailer; storyline and casting is promising to be a must watch on my K drama list. I’m a fan of Chae Tae Hyun; Bae Doo Na and Lee El so it’s not surprising that the Director chose his cast well; Thank you for that. So looking forward to some early week rom com frivolity. Can’t wait! I can say that Chae Tae Hyun is OG so to those that only know of his recent works and variety shows he’s been around since year dot and his lead in My Sassy Girl 2001 is one of my most memorable impressions of him along with his cameo appearance in Steal my Heart. Eunim Sep 27 2018 7:14 pm Must watch. Nadia Sep 26 2018 5:58 pm As a big fans of Cha Tae Hyun i feel sad and irritated with everyone who underestimated him here.. if you have only saw producer and the best hit or only knew him from variety shows please don't say any ignorant things.. he's one of A class actor in Korea, i know his projects wasn't really well known internationally but he can pull of any character.. so please watch the drama first and judge after that.. and if you don't know he's also played a character in along with the gods: The two worlds..
Shandy Sep 17 2018 2:10 am OMG Bae Doo Na and Son Seok Koo OMG Sense8 feels I wish they are both the lead in this drama omg~! Oliver Aug 07 2018 3:46 am LOL... i'm always love to watch cha tae hyun acting, he is on of the very talented actor ~ why not him? from the synopsis the character really suit him. off-cos sense8 couple was happen to cast in this project (i do love this couple too). so i'm still excited because all four of them is my favorite are gather that happen to rock this drama.so just support this drama guys! can't wait !!!! FANNN Aug 06 2018 1:58 pm Cannot wait!!!! !, Even more because of Cha Tae-Hyun!!!!!! This drama will be simply amazing!!!! Koko Aug 01 2018 10:01 am Love Bae Doo Na., but, why Cha Ta Hyun? He just into variety show. PPB Aug 01 2018 6:00 am CHA TAE HYUUN <3 <3 <3 can't wait!! Spring Jul 27 2018 9:07 am Firstly, i LOVE Saikou no Rikon. Eita did a really great job in that drama. Cha tae hyun.. saw one of his drama 'the Producers' ..i'm not really sure, but i hope he'll do well. + Bae Doo Na + Son Seok Ku! What a cast! dan Jul 20 2018 4:06 pm can the sense8 couple just be together lmao I can't believe Detective Mun and Sun aren't a couple in this drama??? Abi Jul 20 2018 3:11 pm Damn, what a cast! So excited. H.N Jul 20 2018 8:47 am I LOVE the Japanese version! Now I can't wait for the Korean version. anoxalone Jul 20 2018 5:50 am It's the best Japanese drama I have seen. I hope the Koreans will do it justice. uri appa has a new drama yeay Jul 20 2018 3:40 am IT'S A YASSS. It'd be wonderful, ik ik. Chachan Jul 20 2018 2:18 am Aw nevermind about the lead couple, can we get a ship between Bae Doo-Na and Son Seok-Koo again?! WE NEED MORE OF IT.